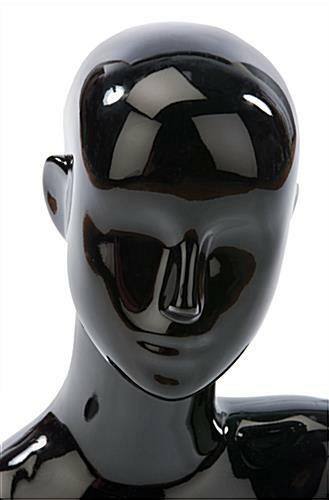 This black female mannequin bust is a fresh and modern fixture for staging retail store merchandise. 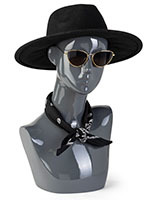 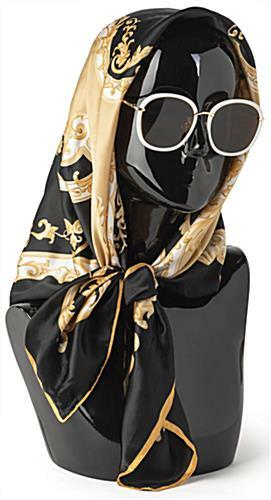 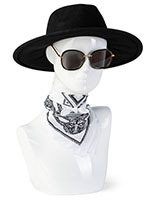 Prop the tabletop dress form with sunglasses, hats, wigs, hair wraps, scarves and more! 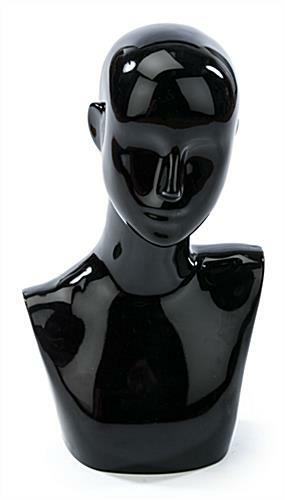 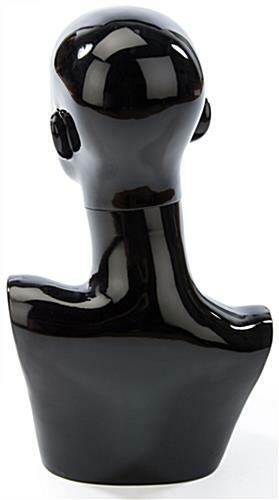 Each 18.75”h mannequin bust features a futuristic design with abstract facial detail and an eye-catching glossy finish. 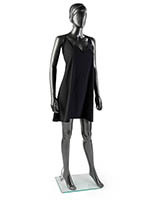 The versatile dress form shown here is a great display for use in fashion boutiques, department stores, hair salons and many other retail settings! 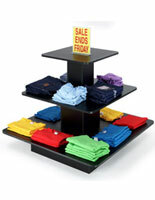 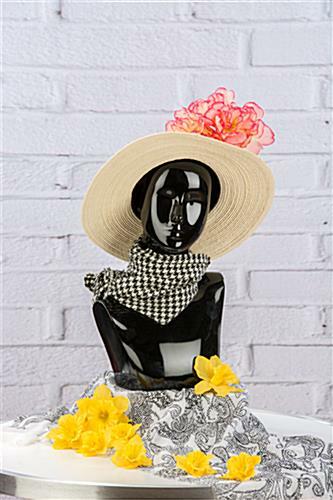 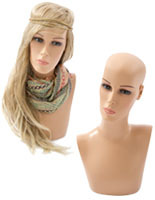 Use the mannequin bust shown here to promote your sale items and to display new products! 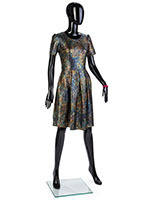 Be sure to check out the great selection of fashion figures available from this online catalog!